So you've taken the UPCAT, seen the results, and got confused. You might be one of those who got a degree program with available slot (DPWAS) as their course. Or maybe one of those who has a pending case. Or worse, you did not see your name on the list. Whatever the case may be, here are some guidelines released by UP to help you out figure things about special cases like these. The pending case refers to UPCAT Applicants with incomplete application documents. If you fall into the pending case category, make sure to resolve your case before the deadline. If your name was originally indicated as a pending case but now no longer appears on the list, this means that your case was resolved in favor of non-qualification into any of the campuses of your choice. Your notice will soon be mailed to you c/o your school. You may also contact the UP Office of Admissions starting May 9, 2018 to check on your University Predicted Grade (UPG) as well as the options open to you. If you are qualified in a certain campus, let's say UP DILIMAN, but you want to be admitted to UP BAGUIO or any other campus, then you can apply for an appeal. It will not be released to you. Pick up for NQ Notices for NCR/Metro Manila at the Office of Admissions will start on May 11, 2018 and will be available only until May 18. The Office will start mailing the NQ notices to examinees c/o their school after this date. You only have 1 week to pick up the NQ notice at the Office of Admissions. Take note of the release dates of the NQ notices in your area. Hello po! Ang UP Office of Admissions po ba ay sa UP Diliman lang or any UP campus? Hi Jhoanne! The Office of Admissions is located in UP Diliman only. Other campuses have the Registrar’s Office which takes care of enrollments. and I checked tha available degree programs, wala pong relate sa course ko Accountancy, can I be reconsidered? Just ask the registrar if you can opt to wait list. Probably there will be slots that will free up after confirmation. Pano po malalaman which UP campus ang available for appeals? Saan po makikita yung schedule nila? Almost all UP campuses are open to appeals (maybe with the exception of UP Diliman due to high demand). WHICH HAS A BETTER UPG, 2.7 OR 2.8? 2.7 is better. It’s from 1.0 being the highest and 5.0 being the lowest. Paano po yung mga Freshmen/Freshman? Paano po fung Freshman na hindi nakapagtake ng UPCAT noong 2017? – Get good grades from a university and apply for transfer to UP after a year. 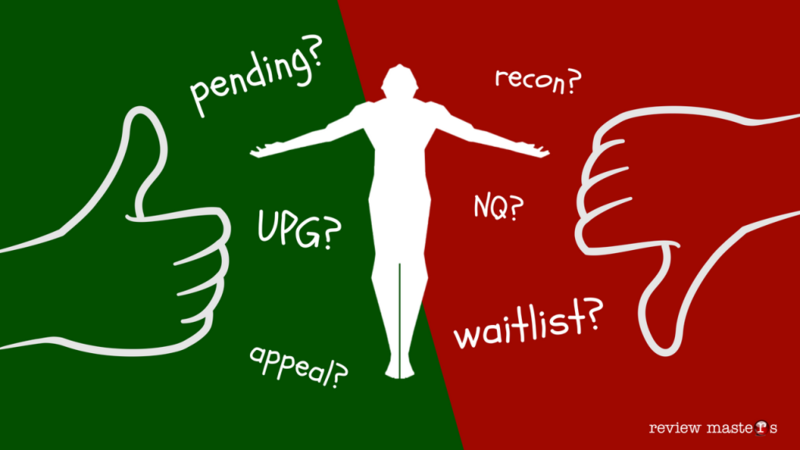 Are there any other requirements besides NQ and the UPG in appealing for reconsideration (i.e. birth certificate, and official documents)? No additional documents as far as I know. They will tell you during your appeal if ever you need to submit other requirements. As stated on the article above (see Item 2 on Reconsiderations and Appeals), reconsideration may be done by non-qualifiers as long as their UPG makes the cutoff set by the respective campus being applied to. You better call the university registrar’s office to find out the deadlines. Yes there are special cases for appeals to different UP campuses. You have to consult with UPD if your case is valid and if there are slots available. Hi. My son, tool the UPCAT this year and has a similar case with you. Did you appeal and were you able to be qualified to your choice campus and course? My son’s scholarship also calls for his UP Diliman course choice. Just asking, can I still be qualified to UP Baguio if my UPG is 2.821? What should I do? You may need to ask them. As far as I know, they are strict with the cutoffs. Recon is done personally. You may inquire via email or phone but you have to submit the documents and talk to the respective campus registrar’s office personally. Hi, any recon results for UP Manila yet? Hello po one of my friends has submitted his appeal for reconsideration.I would like to ask when will be the released of results.Thank you! Let’s assume that my first and second choice of campus is UPD and UPM but was not able to reach the minimum UPG, may I take reconsideration to other campuses that are out of my choice? Hi is reconsideration can be through online apeal? My daughter didn’t pass for today’s UPCAT result 2019, but she wants to appeal it coz, her UPG is 2.1625 and according to her 2.2 is the passing UPG for UP Manila. Can she appeal for reconsideration to UP Manila? Good day, my son didn’t pass the 2019 UPCAT qualifiers. But his UPG is 2.330, can he still be reconsidered in his choice of course which is Civil Eng’g at UPLB or he will only be allowed for another choice of course? pwede po bang mag recon sa UPB ang 3.636 na UPG??? at hanggang kailan po ang pwedeng mag appeal?? Hello, I just wanted to ask is it okay to make an appeal or reconsideration to UP Diliman if my UPG is 2.709? My daughter did not pass the UPCAT but her UPG is 2.443. She wants to appeal at UPLB for Bs Biology, however there is the required grades for science but she got only 60. Is there a possibility that she be accepted in bs bio? UPLB is here a second campus of choice. Thank you.